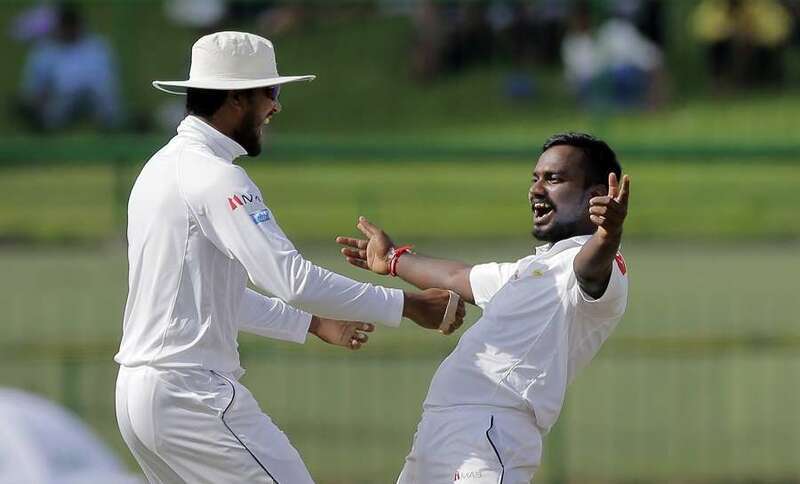 A brilliant all round effort helped Sri Lanka A record a crushing innings and 38 run win the third and final unofficial Test match against Bangladesh A in Sylhet on Thursday. Sri Lanka won the series 1-0. The protagonists of Sri Lanka innings were spinner Malinda Pushpakumara and Shehan Jayasuriya. Jayasuriya who smashed a brilliant century -142 to take Sri Lanka to a commanding 312 all out in the first say also claimed five wickets with his off-spins to lead Sri Lanka to victory. Pushpakumara who picked up three wickets to restrict Bangladesh A for 167 in the first innings added six more in the second innings to bowl hosts out for 107 in their second innings. Performances of Shehan Jayasuriya and Malinda Pushpakumara who were not named in the initial squad, stood out in this emphatic victory. They were added to the squad after Dimuth Karunaratne and Lakshan Sandakan left the squad for national duty. Sri Lanka ‘A’ captained by Thisara Perera will now take on Bangladesh ‘A’ in 3 50-over matches which will start on 17th of this month. All 3 matches will be played at the Sylhet International Cricket Stadium.